First there was the singing, now it’s dancing. We think Prince Harry might be a good performer. 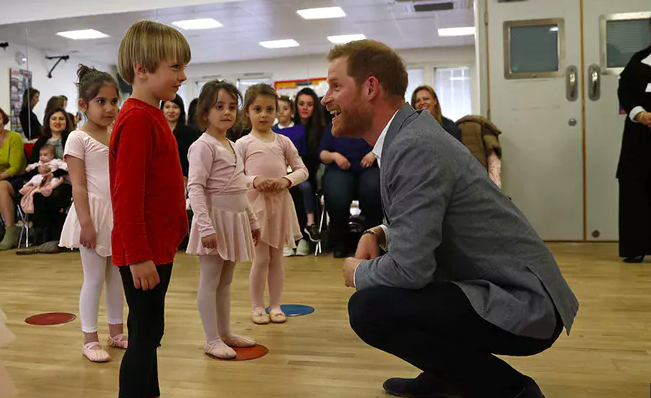 During his solo visit to the YMCA South Ealing in London on Wednesday, Prince Harry participated in a ballet class filled with kids. In the adorable video, the Duke of Sussex – who’s expecting his first child with wife Meghan Markle in April – can be seen attempting to balance on one leg alongside the eager youngsters. Harry paid a visit to YMCA as a part of his work with the campaign 'Heads Together', which aims to start a discussion around mental health.